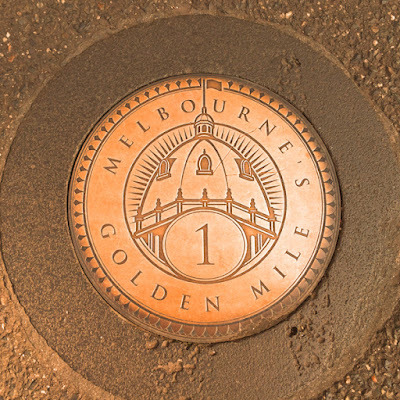 For a number of years when I worked in Collins St. in the heart of Melbourne CBD, I would always see these little gold circles and bigger gold discs in the footpath saying "The Golden Mile". I would always say to myself - One day I will walk the Golden Mile and learn about it and this week was the week for me to do it. I could have done a guided tour that takes about 2 hours, but me being me I know I always venture off and find other interesting things along the way so I thought it best I do the self guided tour that I could upload via an app on my phone. What is the "Golden Mile" I hear you ask. On the Golden Mile you trace the story of how migration and the immense wealth from gold shaped Melbourne. 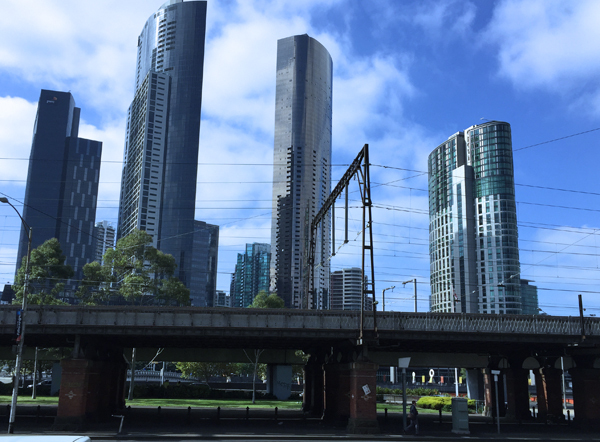 From 1835 when the first European settlers sailed up the Yarra River, to 1901 when "Marvellous Melbourne" became the first capitol of Australia. Looking out from the steps of the Immigration Museum, the former Customs House it is hard to believe that the sight I now see was Melbourne's earliest landing point. 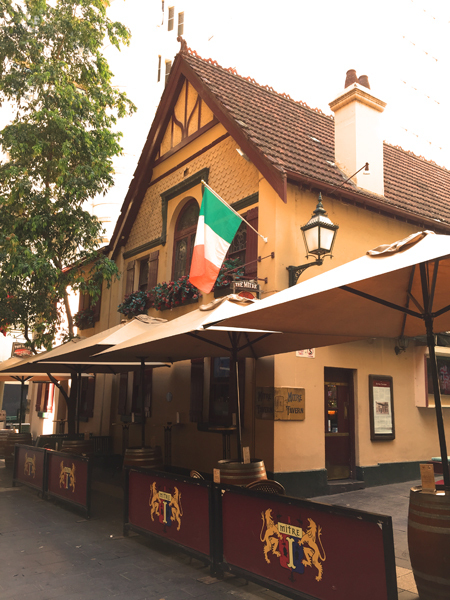 The Mitre Tavern a place I have frequented a number of times in the past, has been a long time favourite for Melbourne lawyers and sporting men. The Tavern has occupied this site since the 1860's. 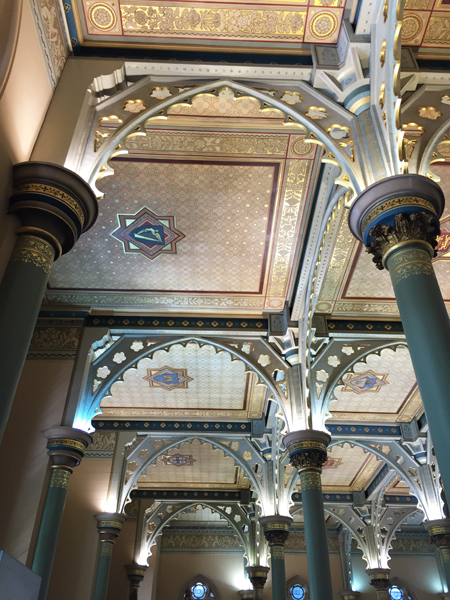 The intersection of Collins and Queen streets was transformed into the banking hub of Melbourne back in the 1880's.The classical Bank of Australasia was erected in 1878, contrasts with the Gothic extravagance of the English, Scottish and Australia Bank which was built in 1880-83. 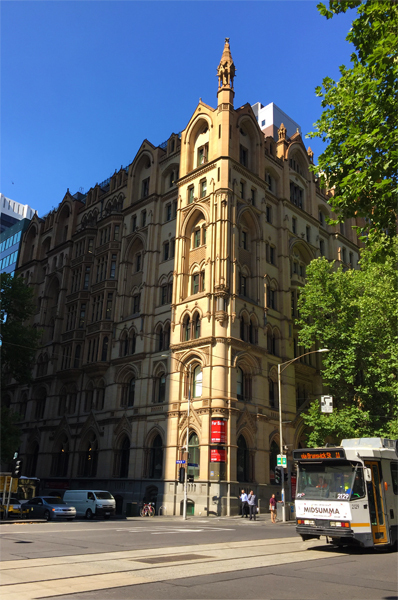 On the north west corner the National Mutual Life Company (now the Bank of New Zealand) was erected in 1891-93. 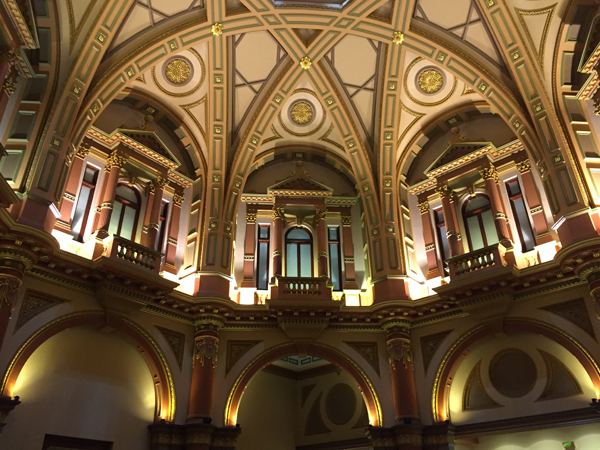 But I think my favourite out of these amazing buildings would have to be William Pitts Stock Exchange Building (now ANZ Banking Museum) built back in 1889. My ex- husband worked many years at this intersection and I was there a lot and I can't believe I have never ventured into this totally amazing space. The beauty actually took my breath away. 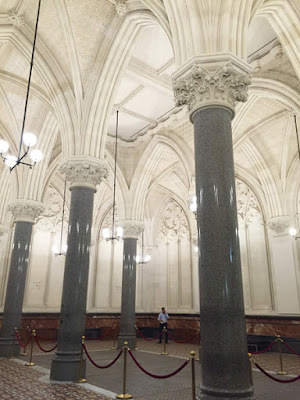 Further along my journey, behind the modern façade of 333 Collins St is the amazing domed banking chamber of the former Commercial Bank of Australia. Even though this foyer can be busy with city workers walking to and fro, it is for some reason a very peaceful place to sit and people watch and admire the amazing work in the dome. While working in the city I would often wander into the beautiful Block Arcade and salivate at the delicacies in the window of the Hopetoun Tea Rooms. 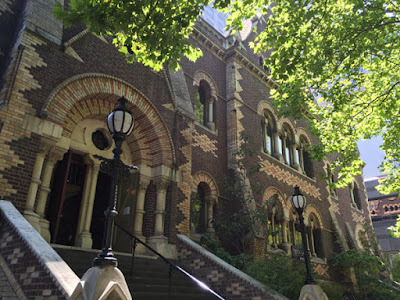 Established in the late 1890's by Lady Hoptoun for the Victorian Ladies' Work Association. 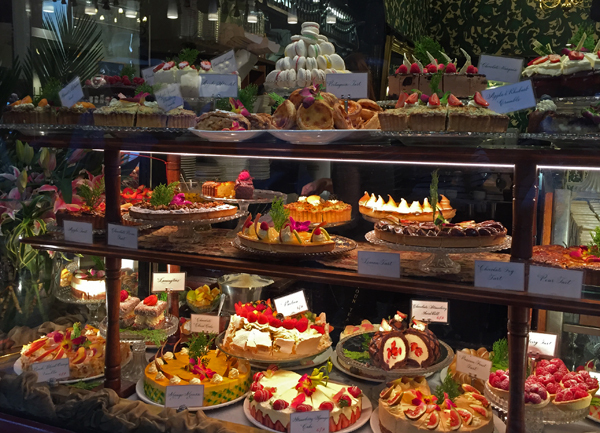 The top of Collins was the place for the upper class Melbournians as it was once a very fashionable residential address to have. Even today a handful of town houses and terraces remain. 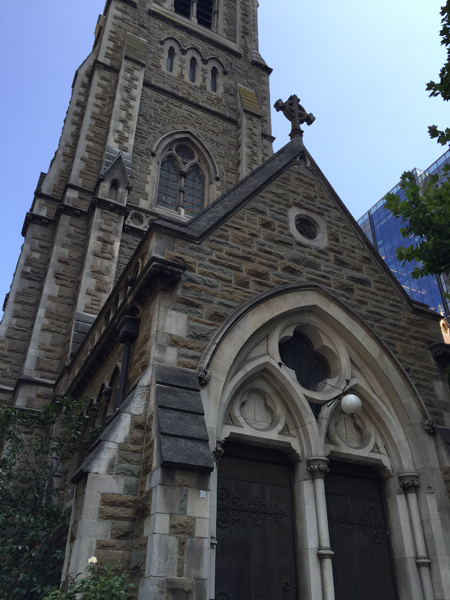 The Russell intersection has St. Michael's Uniting Church, a Romanesque style (1866) and it's Gothic neighbour Scots Church 1873. 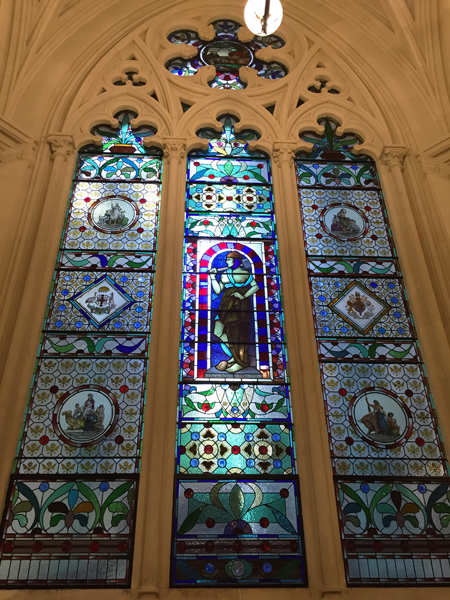 Joseph Reed was the designer of both these churches and David Mitchell, Scottish stonemason, gold rush immigrant and father of diva Dame Nellie Melba built Scots' Church. 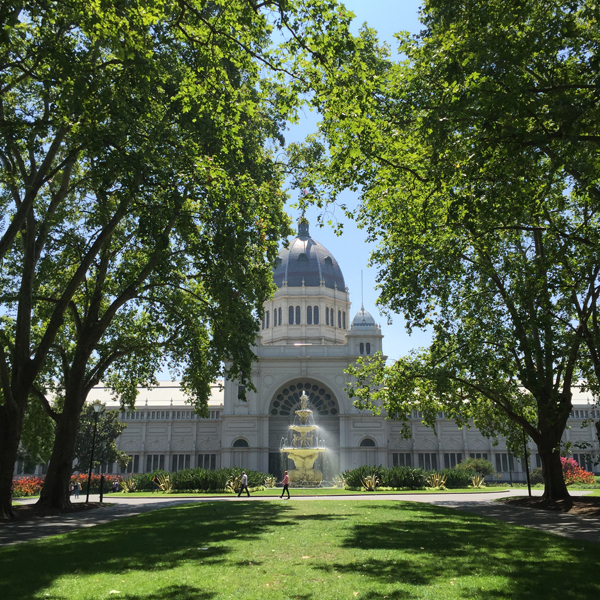 After walking past many historic locations such as The Melbourne Club, Melbourne Lodge, Parliament House, Old Treasury Buildings, Princess Theatre, Chinatown, the Royal Society of Victoria I arrived at the Carlton Gardens and the beautiful Royal Exhibition Buildings. Joseph Reed's design for the exhibition Building, World Heritage listed in 2004, have been built in a design known as Rundbogenstil (round arch style). I fully intend to do a guided tour in this building as soon as possible as it has the most beautiful interior. But with that my self guided tour had ended and with my sore feet I headed to the station to head home. It's amazing how someone can grow up in a city and not be aware of certain things until they reach 62, I am so glad I have committed to my weekly explorations. Which Theme or Story should I choose?